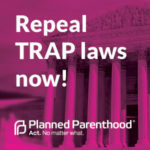 On Monday, June 27, 2016, the Supreme Court decided that Texas HB2 was unconstitutional, eliminating requirements for Texas doctors to have hospital admitting privileges near their clinics and for abortion clinics to become surgical facilities. Many fine summaries of this landmark decision popped up within hours of the decision. 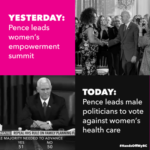 See Planned Parenthood’s press release and “The Court once again makes the ‘undue-burden’ test a referendum on the facts” on SCOTUS Blog. On Monday, the Supreme Court demanded that laws be supported by facts. What struck me most about the majority opinions written by Justices Breyer and Ginsburg was the lack of assertion and conjecture so often found in the court’s previous abortion case decisions. 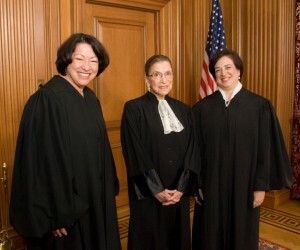 Recall Justice Kennedy’s 2007 Gonzales v. Carhart opinion upholding Congress’ Partial-Birth Abortion Act of 2003: “We find no reliable data” that abortion causes women emotional harm, but we find it nonetheless “self-evident” and “unexceptional to conclude” that “some women” who choose to terminate their pregnancies suffer “regret,” “severe depression,” “loss of esteem,” and other ills. “Some women”? Did we really uphold a law based upon this kind of neo-paternalistic, fuzzy thinking?